Greg Boyd, a Christian theologian and author, is reportedly in the process of deciding how his Minnesota-based megachurch, Woodland Hills Church, will be affiliated with Anabaptism, a decision which has been in the works since May 2012. Boyd, who is the author of The Myth of a Christian Nation: How the Quest for Political Power Is Destroying the Church, is currently consulting with his pastoral team on becoming affiliated with the Mennonite Church USA or the Brethren in Christ. "We've really been kind of growing in this direction since the church started, without knowing what Anabaptism was," Boyd, who co-founded his 2,500-person church in St. Paul, Minn., in 1992, told the Mennonite World Review. 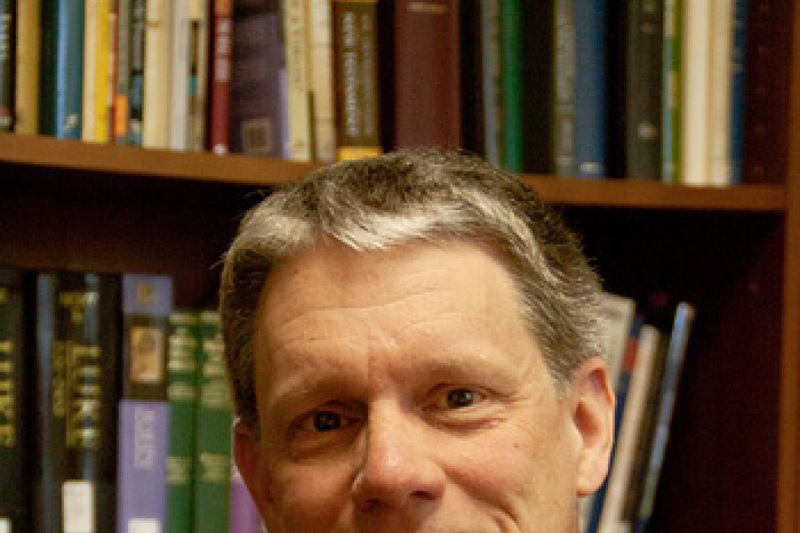 According to the Mennonite World Review, Boyd and his pastoral team, comprised of the church's executive pastor Janice Rohling and teaching pastor Paul Eddy, have been researching the details of Anabaptism and will ultimately decide their church's affiliation once they are satisfied with their knowledge of the denomination. Boyd has long argued that he does not find himself or his parish to be a part of the American evangelical agenda. Boyd has previously argued that he sees evangelicalism as being too confining of a religion, one that urges followers to forgo feelings of doubt for ultimate certainty so that they may be saved. In a November 2012 interview with theologian and blogger David D. Flowers, Boyd said he believes that the model of faith which "encourages people to TRY to make themselves certain and to TRY not to doubt" results in a close-minded society. "I'm convinced this is one of the reasons Barna's research shows that evangelicals have a reputation for being intolerant and ignorant," Boyd told Flowers. Additionally, Boyd affirmed to the Mennonite World Review that he began becoming acquainted with the Mennonite church after a 2006 New York Times story titled "Disowning Conservative Politics, Evangelical Pastor Rattles Flock." In the NYT piece, Boyd described how he urged his Minnesota megachurch to "steer clear of politics, give up moralizing on sexual issues, stop claiming the United States as a 'Christian nation' and stop glorifying American military campaigns." "When the church wins the culture wars, it inevitably loses. When it conquers the world, it becomes the world. When you put your trust in the sword, you lose the cross," Boyd preached to his congregation, as reported by the NYT. Boyd argues that he is no liberal, but after he delivered these controversial sermons, he reportedly lost 1,000 members of his 5,000-member congregation by 2006. As the NYT contends, Boyd's sermons regarding politics in the church came at a sensitive time for evangelicals, as many in the denomination were becoming divided on how closely the evangelical religion should stand next to politics. Boyd's NYT piece became highly discussed, and it was reportedly then that he decided to begin pursuing an Anabaptist affiliate for his church. Not all agree with Boyd, who is a proponent of open theism, and his controversial teachings. Tim Chaffey, a blogger for MidwestApologetics.org, previously issued criticism to Boyd's open theism teaching, which, according to reference.com, teaches that although God is able to anticipate the future, he "remains fluid to respond and react to prayer and decisions made either contrary or advantageous to His plan or presuppositions." "Perhaps the greatest theological error of open theists is their low view of God's omniscience. While claiming to affirm God's omniscience, open theists claim that God does not know everything about the future because the future is not there to know yet," Chaffrey wrote. "If Boyd and his fellow open theists are correct, it will be very easy for Satan to make God a liar," Chaffrey added. According to the Hartford Institute for Religion Research, while the Brethren in Christ have only a few megachurches in the U.S., there is only one Mennonite megachurch in America, Northwoods Community in Peoria, Ill.
How Far Does Academic Freedom Extend in Christian Schools?